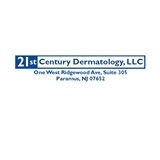 21st Century Dermatology (Paramus) - Book Appointment Online! Dr Goldstein offers general and cosmetic dermatologic care to adults and children. She has 20 plus years of experience in this location. You will always see her when you make an appointment. There are no physician "extenders" : ie, PAs, nurses.